Can anyone identify this tree please? 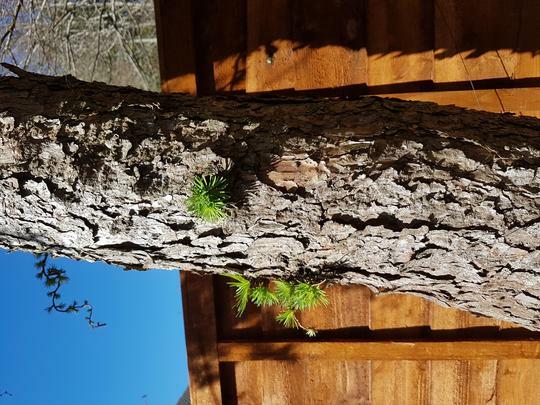 It looks like a pine but it sheds lots of needles every Autumn. It needs to be reduced by a third as it's too big for the tiny garden, is that feasible? it is a larch. It is a lovely tree. 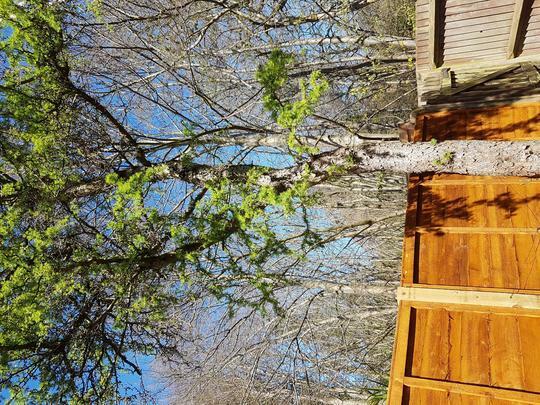 considered 'odd' as it is a deciduous conifer and most people think all conifers are evergreen. You could reduce it but it will spoil its overall appearance. if it is too big it might be better to remove it. I hadn't even thought of it being a larch, thank you. It's a bit sparse and I think it might be too expensive to take down completely. I shall forward your suggestion.